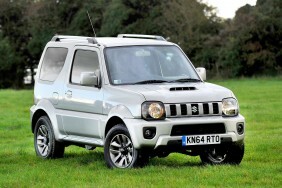 Great Suzuki Jimny car Leasing & Contract Hire Deals. 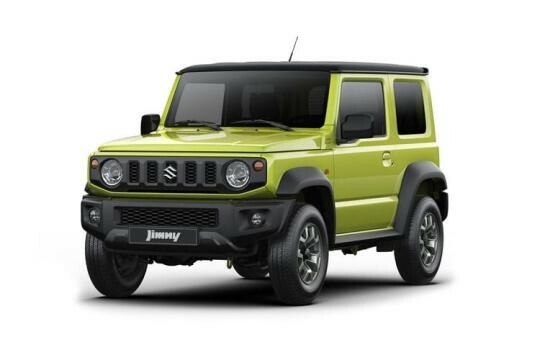 Our Suzuki Jimny Lease Deals. Suzuki's Jimny could be viewed as one of the most interesting budget small car choices on the market or as a bargain basement off-road tool. It will appeal to buyers of both persuasions because despite being more than a little rough around the edges, the little Suzuki has character and real ability, which is rare in cars costing twice as much. If you're really likely to use the car's off roading ability, it makes far more sense than a traditional small hatchback, particularly as it can also perform that role to quite a competent standard. Even if you're not, as long as space and pace don't rank as crucial virtues, the Jimny's well worth considering as something a little different. Small cars are where it's at just at present. Supermini sales are buoyant but it's tiny citycars and compact 4x4s that are really attracting the attention of buyers. All of which would seem to promise a bright future to a contender that can claim to satisfy customers in both camps; a car like Suzuki's Jimny. It's been around for a while but the Japanese brand reckons that this is still a real alternative to that little hatchback you were going to buy. A vehicle small enough to fit into the tightest space (it's only 55mm longer than a Ford Ka). A vehicle cheap to buy and run and yet a vehicle that can hold its own off-road and give you that commanding over-the-hedgerow driving position you've always wanted. In town, that high seating position and excellent all-round visibility make it great for nipping in and out of traffic. The 1.3-litre all-aluminium 16v engine is in its element here too. On the open road, however, it can sound a little stretched due to the fact that most of its 85 braked horses are not available until you get the engine singing right up at 6,000rpm. Handling around twisty tarmac is not as accomplished as the sharpest superminis, but it's quite good enough to satisfy most. Besides, there's always the bonus, denied to conventional road users, that when the fancy takes you, the muddy stuff beckons. Four-wheel drive is selectable via Suzuki's 'Drive Select' system, a surprisingly painless operation that can be accomplished whilst on the move. Over reasonably rough terrain, the little Suzuki inspires confidence, thanks to its tough ladder frame chassis, a standard design feature that many small off-roaders lack and which renders many virtually useless for real off-road work. You'll have to accept, however, that the Jimny won't ultimately have the wherewithal to reach the places that larger off roaders can. At least not in normal circumstances. Over in Iceland, they prefer light, simple little 4x4s like this because they don't sink into the snow: in soft boggy conditions here, it might well be the same. One drawback of all this off roading prowess is that it necessitates a harder, more jiggly ride. Again, it's not something that will bother you too much on short journeys, where the light steering, progressive brakes and smooth gearchange make the little Suzuki easy to live with. At first glance, the Jimny looks to be designed more for the mud than the metropolis. Flared wheelarches, bulky side panels, roof rails and that spare wheel on the tailgate give it a purposeful look intended to reflect a 'rugged personality'. Design revisions to this current version include a smarter front bumper and grille design, a sleeker design bonnet shape incorporating a central air intake, plus repositioned front fog lamps. The revised front bumper design has resulted in a slight increase in overall length of 30mm to 3,675mm - although the Jimny easily remains the most compact SUV on sale in the UK. Underneath all that, however, it's all surprisingly car-like. Instead of the 'garden shed' aerodynamics favoured by most off roaders, the slippery body has a drag coefficient comparable with that of a normal family hatchback. The cabin, though dominated by grey plastic, is equally user-friendly, with a neat, simple layout that will confuse no one capable of operating a payphone. For a small car, the driving position is excellent, accommodating for anyone up to a six-footer, with plenty of head and legroom. Automatic transmission-equipped models get a different centre console and gear selector gate, while both manual and automatic models now feature push button selection of the four-wheel drive system, located below the heating controls. The standard SZ3 trim level comes with power-assisted steering, front electric windows, electric mirrors, radio/CD player, ABS and EBD, selectable four-wheel drive with high and low ratios and automatic free wheeling hubs, front seatbelt pretensioners and driver and front passenger airbags. You can, however, get a SZ4 which improves the look of the Jimny with various styling accessories as well as adding air-conditioning and part-leather trim. Steel Silver and Khaki Green have been added to the metallic paint range of five shades available for the higher specification SZ4 model with three metallic and one solid colour available for SZ3. A new seat fabric has been adopted for the SZ3 and SZ4 features new design 15-inch alloy wheels finished in dark Silver. In line with EU regulations both SZ3 and SZ4 models now have a new design instrument cluster that includes a Tyre Pressure Monitoring System (TPMS) for added safety as well as a Gear Shift Indicator (GSI) to help the driver keep fuel consumption to a minimum. The 2015 model is also equipped with ESC (Electronic Stability Control) as standard. In true Suzuki style, you can also jazz up your Jimny by choosing from a huge accessory range. Front guards, alloy wheels, grille covers and surrounds for the multi-reflector headlamps are amongst the obvious add-ons. If you really must, there are also rear spoilers, body graphics and 'themed' spare wheel covers (!). Bear in mind, however, that these things are likely to do little for residual values when the time comes to sell. The 1.3-litre engine can only manage 39.8mpg. This is largely thanks to the weight of those 4x4 mechanicals but it's not the most modern powerplant either. CO2 emissions are correspondingly high at 162g/km and 167g/km for the automatic. Buyers will also have to shoulder some fairly hefty depreciation but can claw some cash back via the group 14-15 insurance.